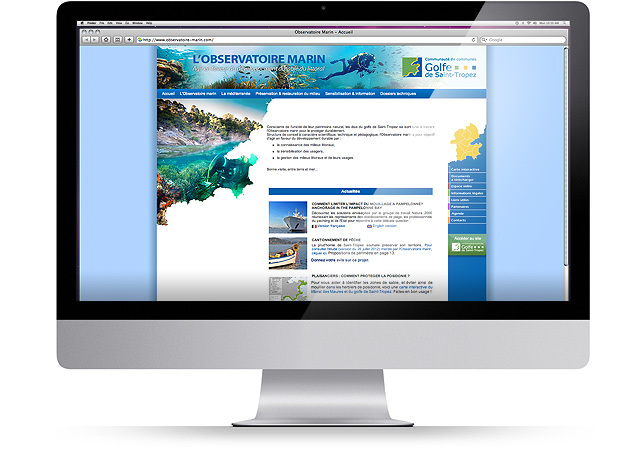 Website created by ideogram Design in April 2004. Updated in July 2013. 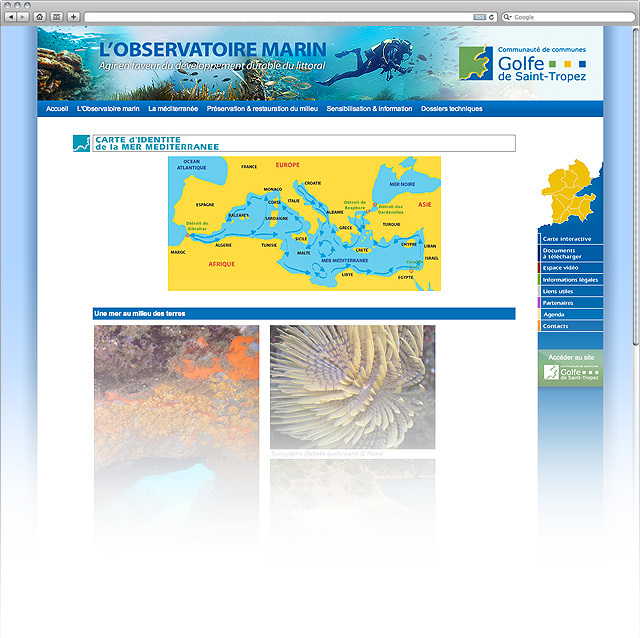 Informative website of the marine observatory’s actions. 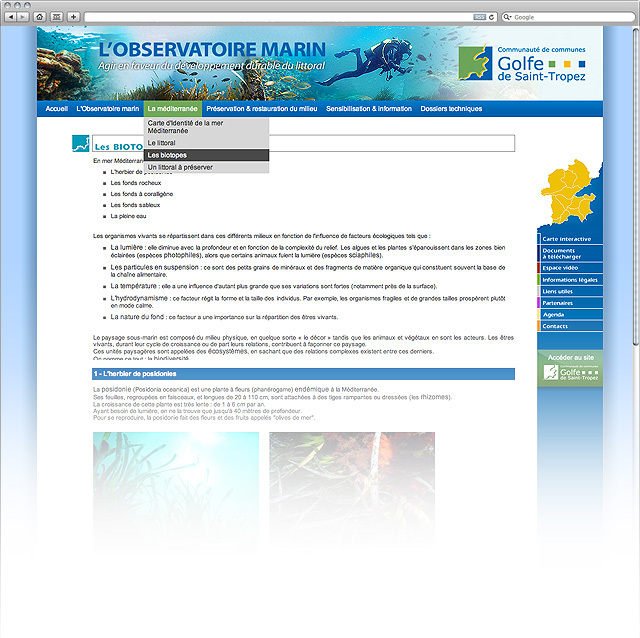 It allows with other information to show the results of the bathing water samplings. Management of reservations for water trips.